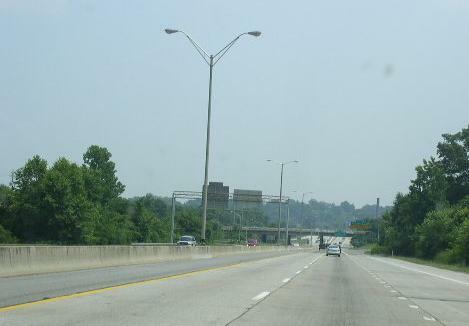 Interstate 275 is a short three mile north-south expressway in Knoxville. 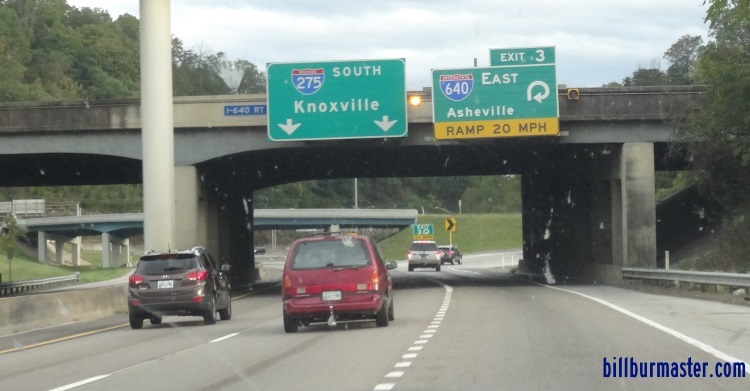 This connects Interstate 75 to Downtown Knoxville. 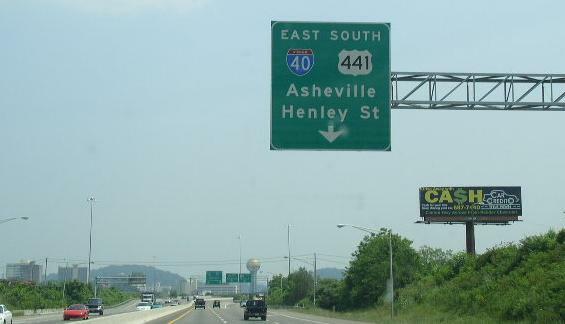 I-75 use to be alinged down this route until it was placed on the I-640 by-pass, to take some congestion from Downtown Knxoville. 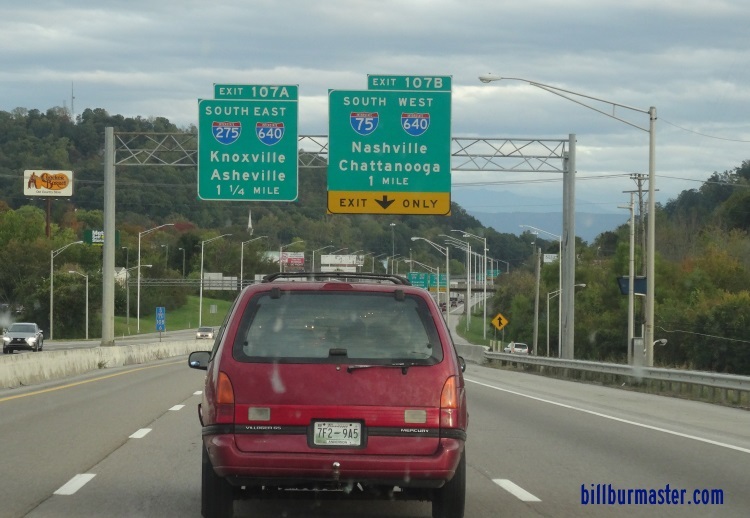 While in Tennessee, I-275 is not multi-plexed. 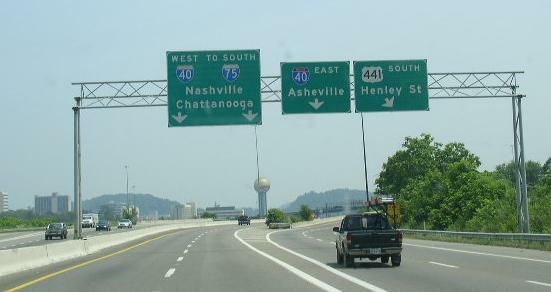 Interstate 275 crosses the following interstates in Tennessee. 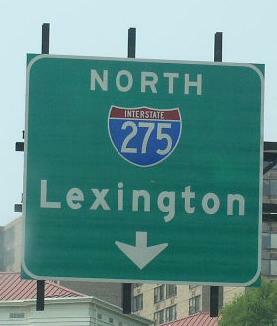 SB I-275 at EB I-640. 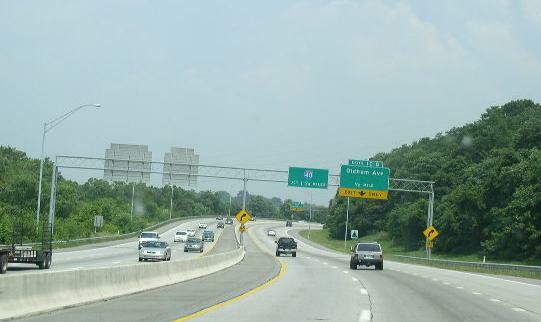 The first BGS for I-40 on SB I-275. 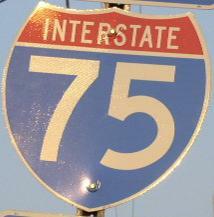 Info on the partent route for I-275. 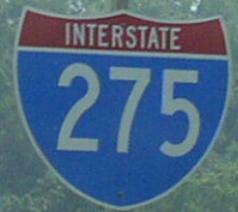 SB I-275 near the norhern end. BGS on the surface streets in Downtown Knoxville. 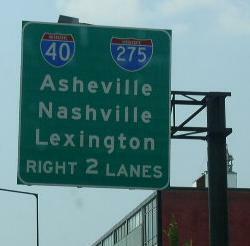 Overhead sign in Downtown Knoxville. A group of guide markers in Downtown Knoxville.